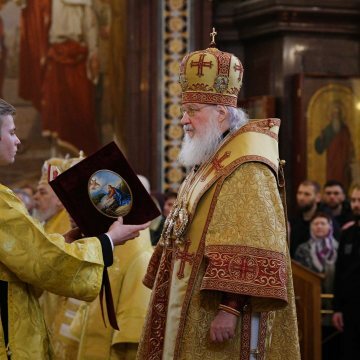 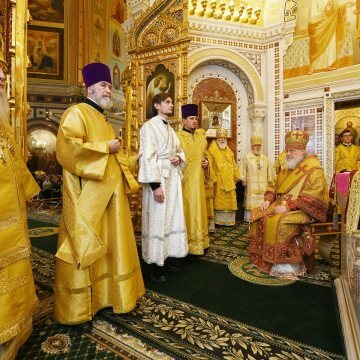 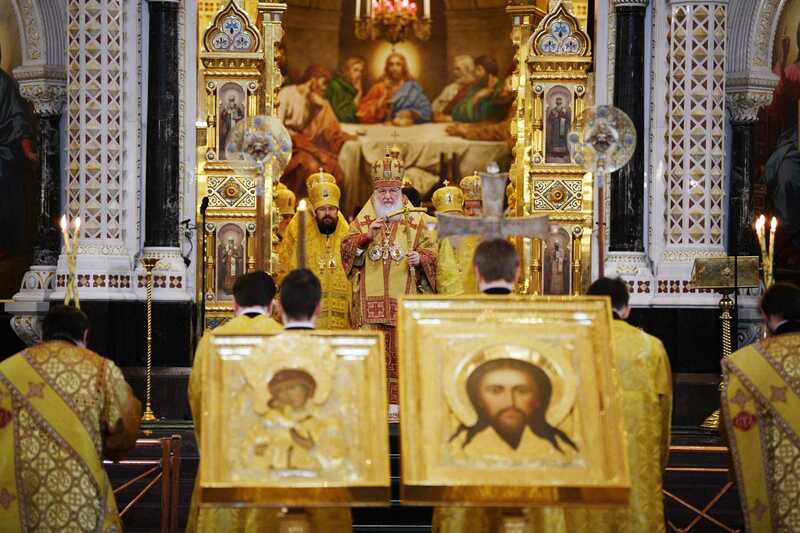 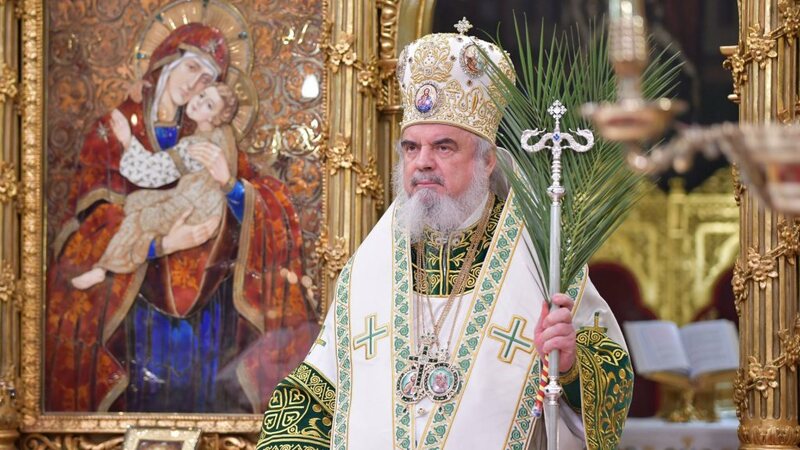 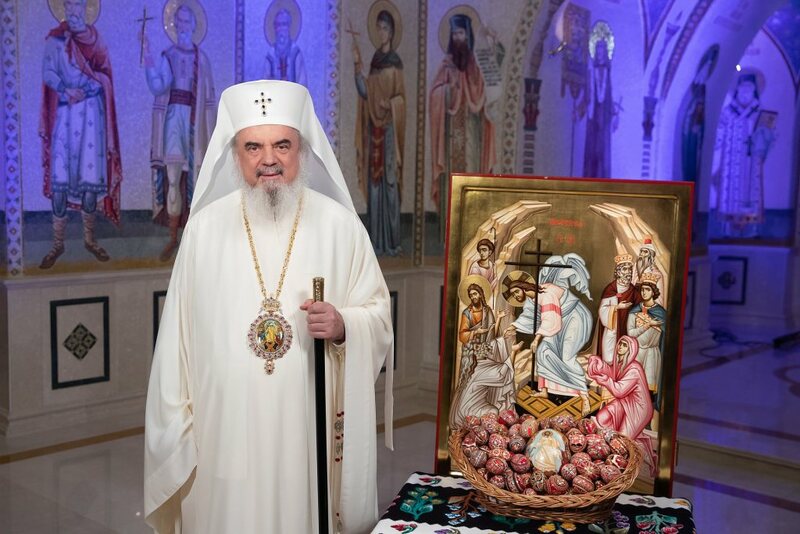 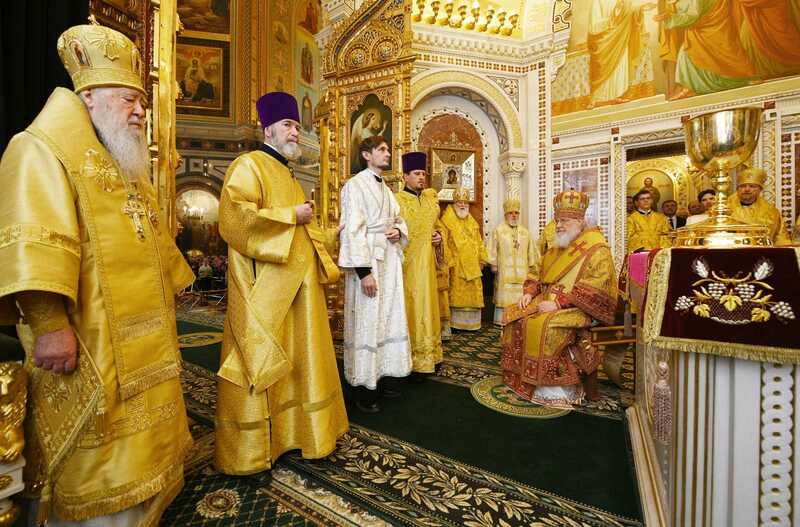 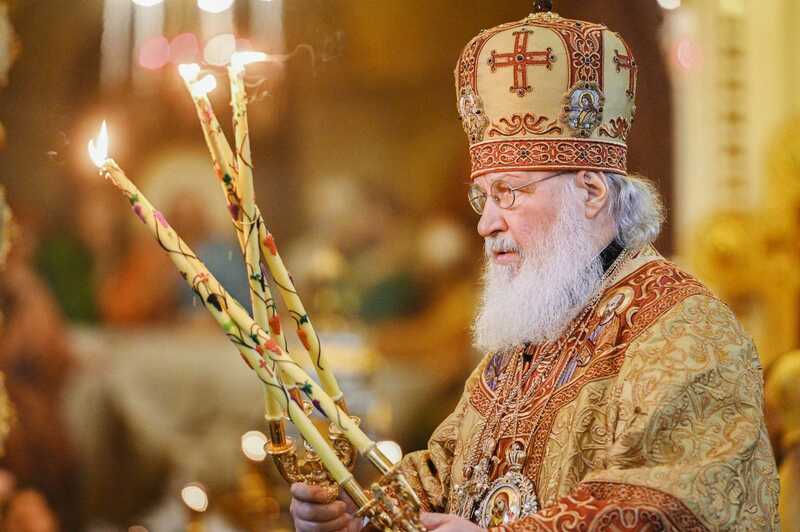 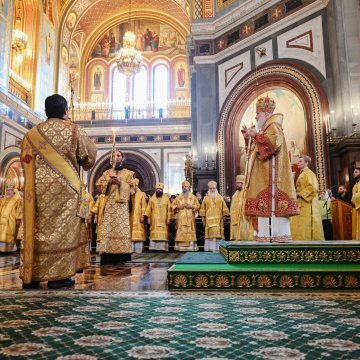 On March 17, 2019, the First Sunday of Lent, the Triumph of Orthodoxy, and the commemoration day of the Holy Prince Daniel of Moscow, His Beatitude Kirill, Patriarch of Moscow and All Russia, celebrated the Liturgy of St. 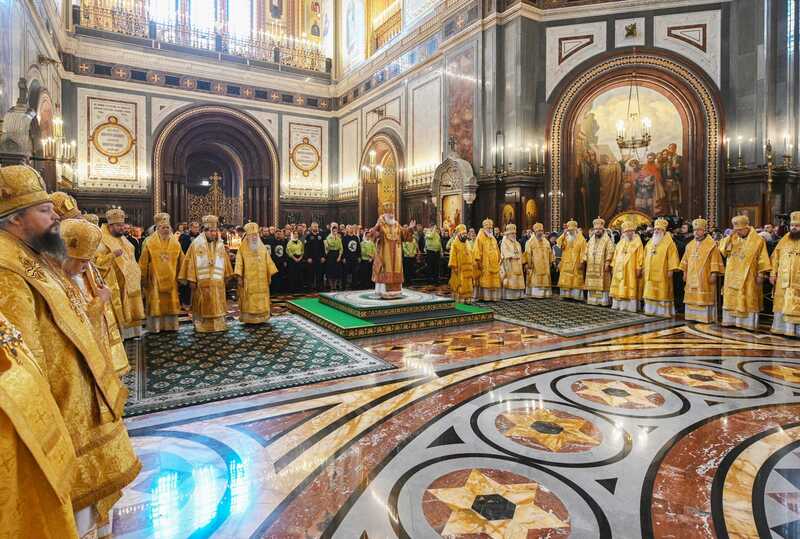 Basil the Great and the Service of the Triumph of Orthodoxy at the Cathedral Church of Christ the Saviour in Moscow. 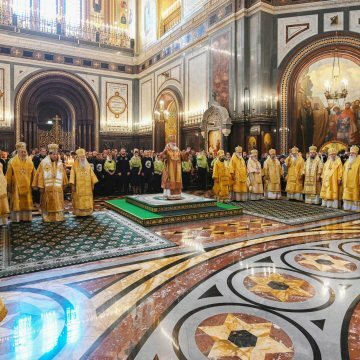 His Beatitude was assisted by numerous metropolitans, archbishops and bishops, high church officials, abbots and Moscow clergy. 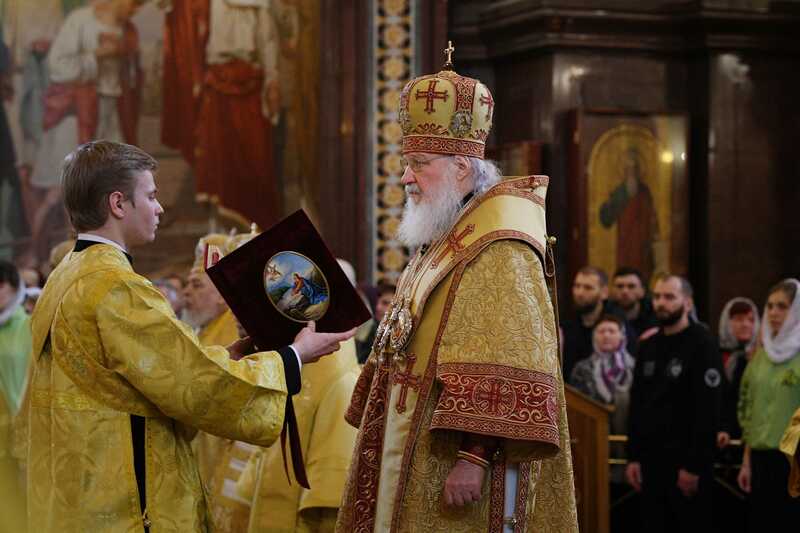 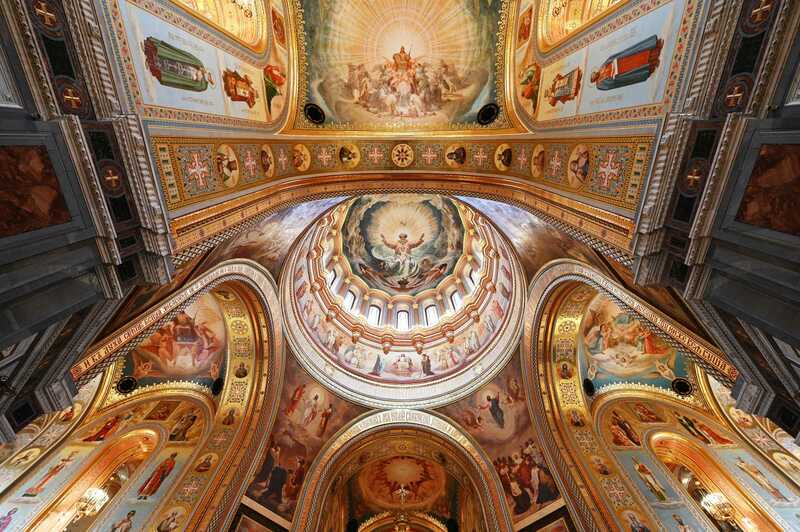 Among his concelebrants were representatives of Local Orthodox Churches to the Patriarch of Moscow and All Russia from the Orthodox Churches of Alexandria, Antioch, Serbia, Bulgaria, Czech Lands and Slovakia and from the Orthodox Church of America, as well as Moscow clergy. 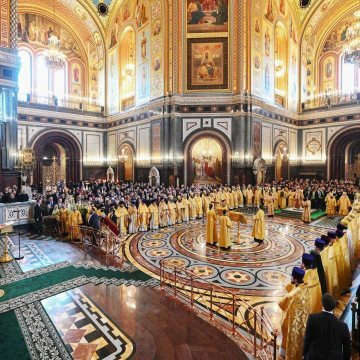 Present at the service were high-ranking state officials, State Duma deputies, representatives of federal agencies and business community. 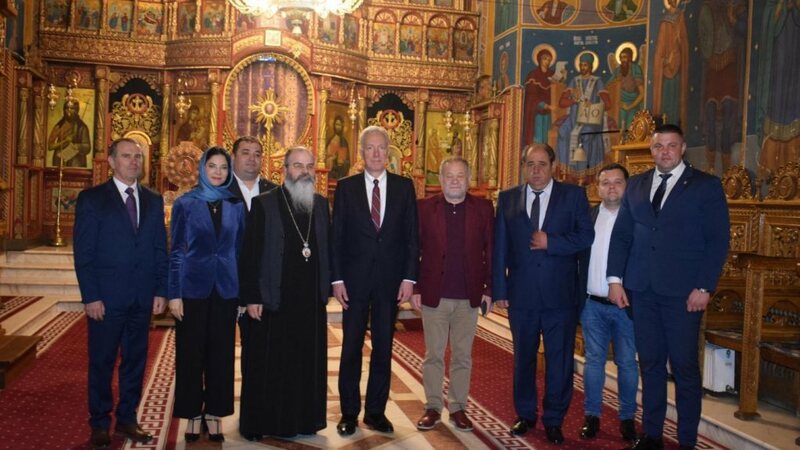 Traditionally, there were ambassadors and diplomats from Abkhazia, Serbia, Macedonia, South Ossetia, Greece, Moldova, Montenegro, Bulgaria, Belarus, Cyprus, Bosnia and Herzegovina, and Romania. 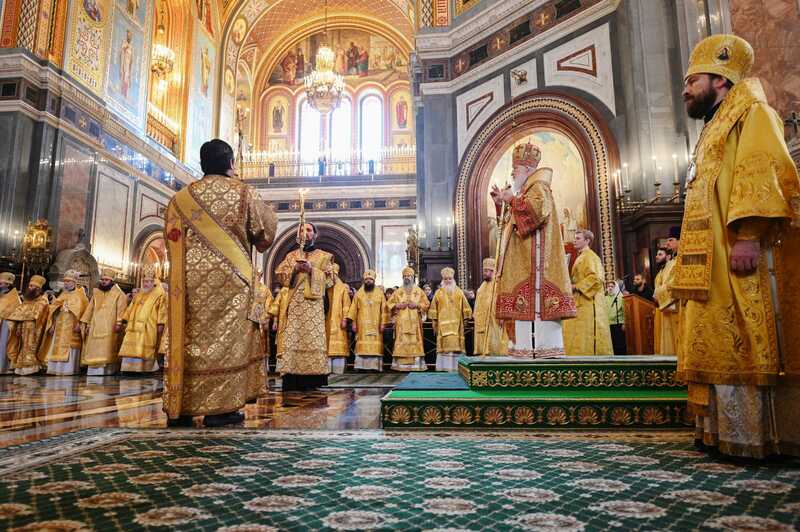 During the Prayer of Fervent Supplication, prayers were lifted up for the unity of the Orthodox Church and for safeguarding the Church from divisions and schisms. 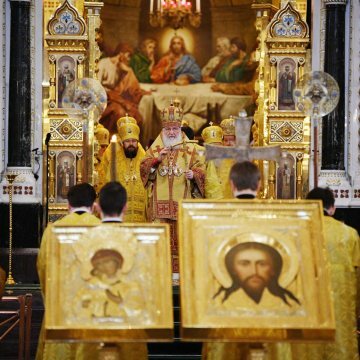 In conclusion of the service, His Beatitude said, ‘Once again I greet all of you on the occasion of the feast of the Triumph of Orthodoxy. 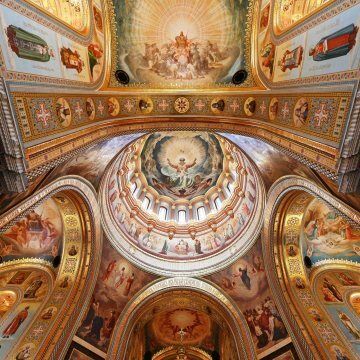 May the Lord give us strength to preserve the joy of sharing in the life of the Church till our last breath. 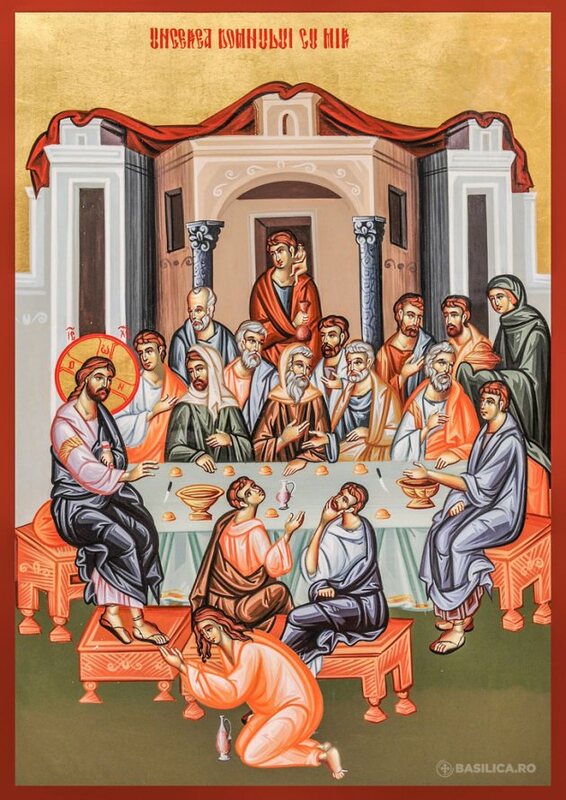 May the Lord help us go through Great Lent beneficially and celebrate the bright Resurrection of Christ in a dignified way’. 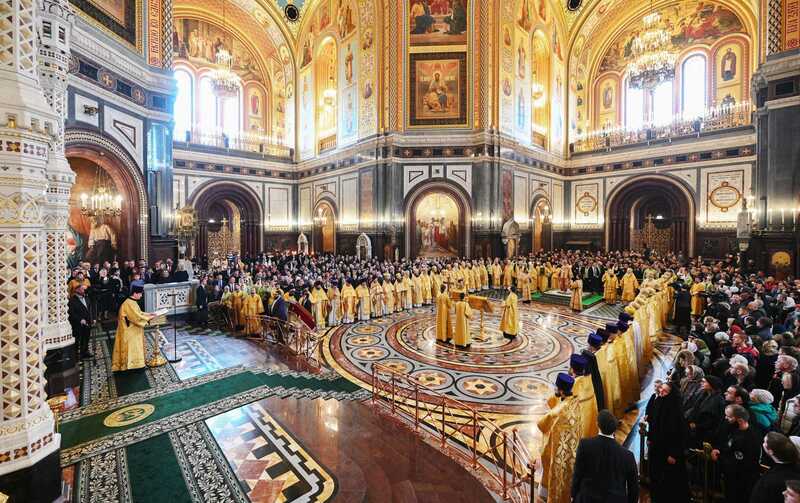 After the service, His Beatitude, in the Throne Hall, awarded Serbian Ambassador Slavenko Terzic the Order of St. Seraphim of Sarov in recognition of his contribution to the development of relations between the Russian and Serbian Orthodox Churches and on the occasion of his 70th birthday.